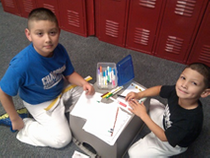 Champ Camp is an award winning martial arts class that meets on the same days that Pasadena ISD is in session. All students grades K-8 are welcome to join Champ Camp, and transportation is provided from select schools. 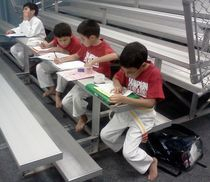 We have a proven track record of helping our students improve academic grades by designating homework and study time each day. 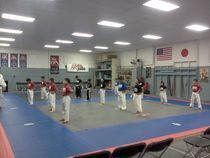 From teaching our students about how to prevent bullying to stranger danger, your child will learn Karate, Judo, Gymnastics, and so much more for less than the price of daycare!